Check out Taylor Long's Narrow Stairs album review. 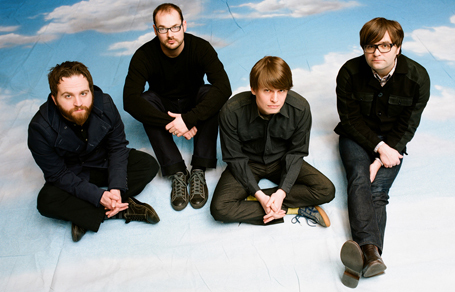 Death Cab for Cutie have had a career for roughly 10 years now – but have only spent the most recent three or four under the spotlight, with some dramatic highs and lows, including being the subject of a documentary, signing to a major label and being nominated for a Grammy. The lows have been more a matter of timing and cliché than anything, with the band rising to its heights alongside other indie acts, and seeing the backlash that happens any time a small band makes it big. Frequently pestered for attracting a large teen audience, for breaking through on a cheesy television show (“The O.C.”), and for sappy lyrics (hey, it’s not their fault that they went major at the same time that their lead singer fell in love! ), the band has had its share of insults and stereotypes thrown its way as a repercussion of its newfound fame. These 19 tracks should serve as a path through the many sides of this Seattle-bred success story: the bitterness, the love, the lo-fi, the hi-fi, the weird and the beautiful. Before he fell in love and was subsequently teased for writing wussy lyrics, Death Cab frontman Ben Gibbard was known for being very, very bitter. The first line of this weighty kiss-off says it all: “I think I’m drunk enough to drive you home now.” The production on this first released is rather tinny. As the drums trudge along under reverb heavy guitars, it creates a similarly intoxicating effect. About that bitterness… the band’s entire debut is seething with it, “Your Bruise” included. “I think your bruise was understated / ‘Cause you can’t feel this anymore / It’s getting bluer and you can’t keep faking / That you can’t feel this anymore.” The second half of this song is simply that refrain relentlessly repeated, as though he’s driving it so hard because he wants the words to leave their own bruise. A surprisingly upbeat song for this period, “Underwater!” has long been a favorite among diehard fans. 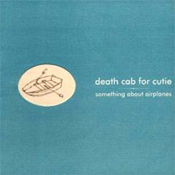 It first saw the light on Gibbard’s solo album under the alias All-Time Quarterback, and was later recorded by the band for a 7” single on Sub Pop with “Army Corps of Architects.” Although it was released the same year as the Forbidden Love EP, “Underwater!” still feels a little under-produced. 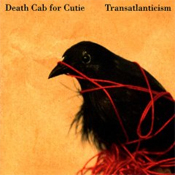 Another classic Death Cab break-up jam, this time with the band’s capacity for two guitar melodies starting to really show through, the two sort of dancing around each other here. Although the overall attitude is still acerbic (“Brace yourself / I’m bent with bitterness”), the tone color warms on this release. The Forbidden Love EP marked the band's first big indie pop hit in "Photobooth," which is still shouted out at nearly every of their concerts. But their somber, reflective side comprised the rest of the EP, the best example being "Song for Kelly Huckaby," which is sometimes mislabeled "California." On the third album, Gibbard began to explore the heights he can take his voice to, and the band started including more keyboard and piano – both changes show here. Indie rock all-stars Sean Nelson and John Vanderslice help out with singing duties on this track, creating a gorgeous vocal harmony. A harsh, depressing portrait of an absent father, there’s been much speculation about the song’s subject, though Gibbard has repeatedly insisted that it’s about a friend’s father and not his own. Still, it’s one of their strongest tracks emotionally, starting out delicately and increasing in volume and speed the angrier Gibbard gets. Recent inductees to the Death Cab for Cutie fan club may know this song best in its newest incarnation, “Stable Song,” from Plans. The band decided to re-write the song because, as Walla said in an interview with the AV Onion Club, this song is “the sound of the band falling apart.” (Oh, delicious irony.) Hostilities aside, the remake was a little blasphemous to ears that fell in love with the original. Alternately gorgeous and volatile, it clocks in at just over 12 minutes, making it the longest song the band has ever written. Released as a B-side with the single of “I Was a Kaleidoscope,” the alternate version of this track from Photo Album is more guitar-oriented than the album version, and is more upbeat and playful, placing it nicely along the boardwalk with Astroland. Like “Stability” on a smaller scale, “Prove My Hypothesis” is another song about band tensions, recounting a time when Death Cab observed comrades in another band losing their drummer, only to lose their own a month later. It features a similar slow start with a crashing cathartic finish. Though its B-side (the aforementioned “Underwater!”) didn’t see a proper release, this original Sub Pop single did. 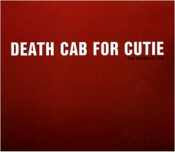 Enhanced with a subtle organ, a shaker and a triangle, its dreamy quality complements Gibbard’s morbidity and recurrent frustration with aging in this song about wanting to start over. 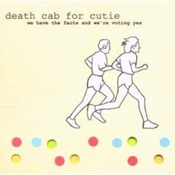 A compelling song for two reasons – firstly, it marked the beginning of the band’s political aggressiveness during 2004 (this compilation raised money for progressive organizations, and the band later printed pro-Democrat shirts), and secondly, it’s closer to Death Cab’s earlier work than anything from Transatlanticism. The live version of this song from the Forbidden Love EP captures the delicate intimacy of their live show better than anything else on this EP. If Death Cab dropped any hints to the new direction they’re taking with Narrow Stairs, this is the biggest one. Even more spaced out and psychedelic than the already spaced out and psychedelic Daniel Johnston version, the band has never sounded weirder or more experimental…until recently. From their glossiest, poppiest album, “Summer Skin” features a steady, almost military-like drum beat, contrasted with a delicate piano, perhaps representing the two lovers in this ode to summer love.